The beginning of this month saw the national cash rate cut to 3% by the central bank as it dropped to its lowest level since the global financial crisis. The slowdown experienced by the mining sector has also been significant owing to the pressures from the Chinese market. The Australian Reserve Bank governor has provided the pros and cons of where the RBA anticipates the economy to be heading, highlighting areas of concern and citing areas of potential growth. Australian Treasurer Wayne Swan has defended the state of the economy by commending its performance in the international market place. He alluded to external factors like the unanticipated performance of the local currency and the pressures put on the local market by China. 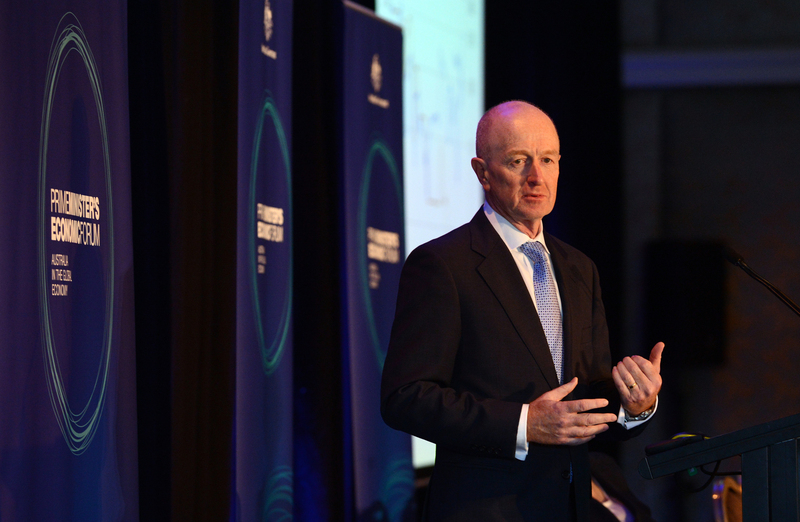 Reserve Bank governor Glenn Stevens cited instability in Europe and the United States as casting a shadow of doubt on local growth potential and creating even more subdued spending. The governor made the comments at the beginning of the month, stating that circumstances had dictated an easing the Reserve Bank’s monetary policy. He further motivated the decision by saying that the drop in the cash rate would contribute to a more sustainable growth pattern and it would ensure that inflation stayed on target. Even though Chinese growth appears to have stabilised the rest of Asia has been affected by its performance and Australian commodities are substantially lower as a result, decreasing export values by approximately 15%. And even though China is seeing an uptick the rate at which the local economy fell as a result of its instability means a lot of headway needs to be made by way of recovery. One area of consolation and one source of potential growth is that mining has yet to reach its peak, which is one avenue the economy is expected to grow in. Stevens said that while the outlook for spending was positive consumer spending behaviour was not anticipated to reach its pre-crisis highs however and that more momentum would also be required to facilitate the transition from an economy dominated by mining when long term sustainability was taken into account. He said that rates would need to be lowered even further to give the sectors that are not involved in mining more of a boost especially in light of the strong local currency and constraints to funding for banks like Bankwest becoming more intensive. Wayne Swan, the Treasurer, has also defended claims that the economy is in trouble and warding off some predictions that a recession may not be out of the question, stating that the local economy was keeping trend pace and that local conditions were more favourable than the global environment. He said that unemployment rates were low, that inflation was under control and the stable investment infrastructure, added to strong financing, made the outlook even more positive. He stated that at the time of the global financial crisis the global growth rate was sitting at -0.6% and that the global economy had literally plummeted, commenting that the current climate was much healthier. He remained optimistic saying that a slight revision in growth could be expected when the third quarter results were released. Stevens also added that the outlook did not look quite too rosy for the construction sector, as investments for non-residential building and any investment outside of the resources sector was expected to be subdued. He added that unemployment was inching upwards and that the job market was getting sifter, furthermore, the dollar has also outperformed expectation and is putting pressure on non-mining industries. Non-mining industries will need some relief through further rate cuts to stimulate more activity and productivity.